I’m excited to announce that I won the ‘Mountainous’ category in the International Landscape Photographer of the Year awards. After several years of falling in and out of love with competitions it’s great to get a bit of recognition. As flattering as it is I also realise the good fortune I had to come across such a sensational combination of location and lighting (neither of which I can claim responsibility for! ), It’s also worth remembering that there were an host of other spectacular images that went unawarded, such is the nature of competitions. Nevertheless it seems this year is my year, so I’m going to enjoy it whilst it lasts! The image shows the mountain Uxatindar in Iceland being enveloped by cloud on a day hiking in the Highlands. This was on an adventure workshop I ran to the nearby lake Langisjor, which is similarly spectacular. The clients were all with me shooting this but fortunately none of them entered their shots into the same competition! 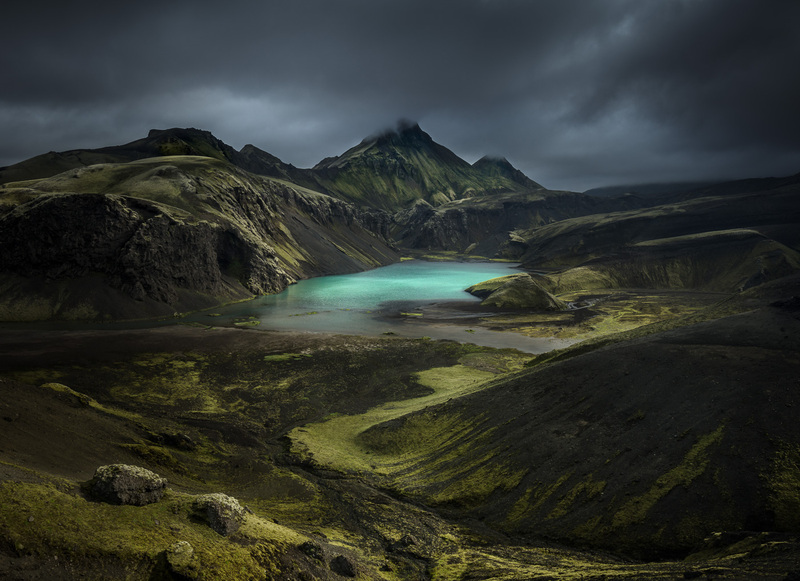 The winner of the ‘Mountainous Award’ and the International Landscape Photographer of the Year. Written by alexnail, posted on 25th February 2018 at 4:23 pm, in News. Permalink. RSS feed for this post.